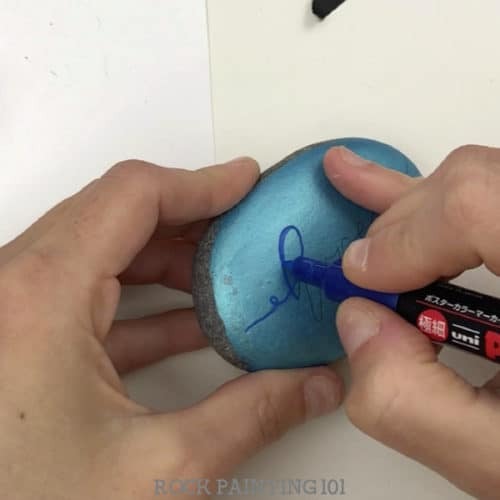 How to use carbon paper to hand letter on rocks. 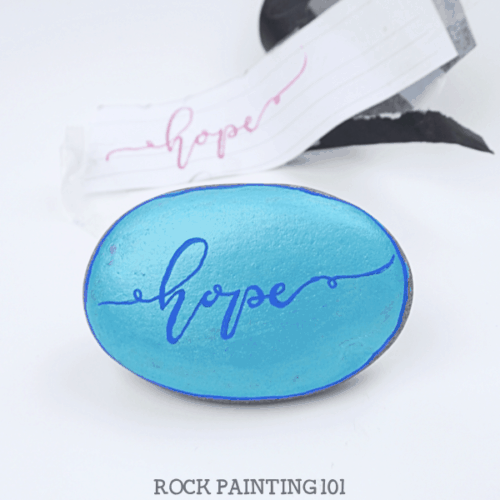 Using this simple supply and practice sheets, you will be hand lettering your painted rocks like a pro! So I have been dabbling in hand lettering a bit going into the holiday season. 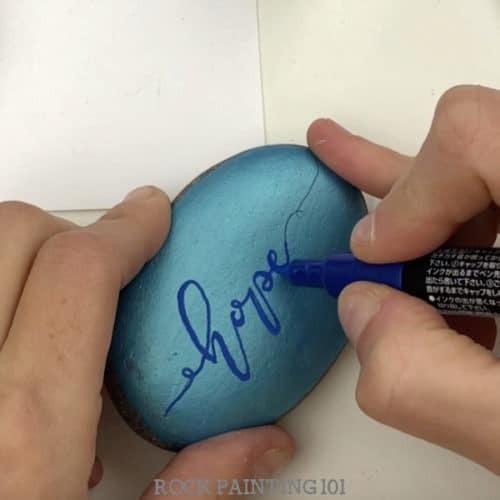 Getting the strokes down can make a rock, that only has one word on it, beautiful. However, I am a newbie to this hand lettering trend so I need a bit of help. Let me tell you, using carbon paper to hand letter is a game changer. 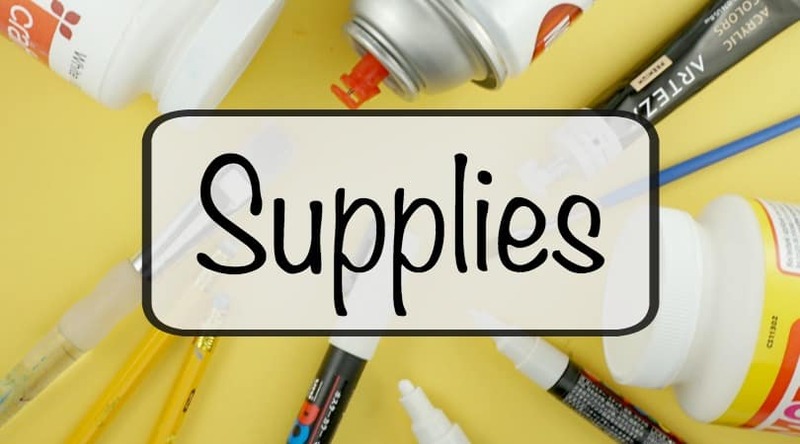 Grab all the rock painting supplies you need in our Amazon shop! 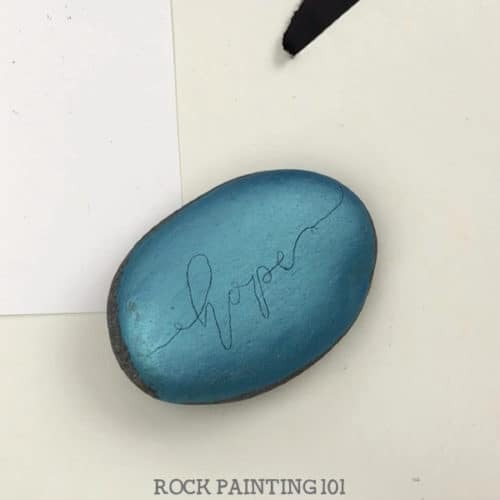 The main supply you need for this rock painting tutorial is carbon paper. If you don’t have any, you can grab some here. 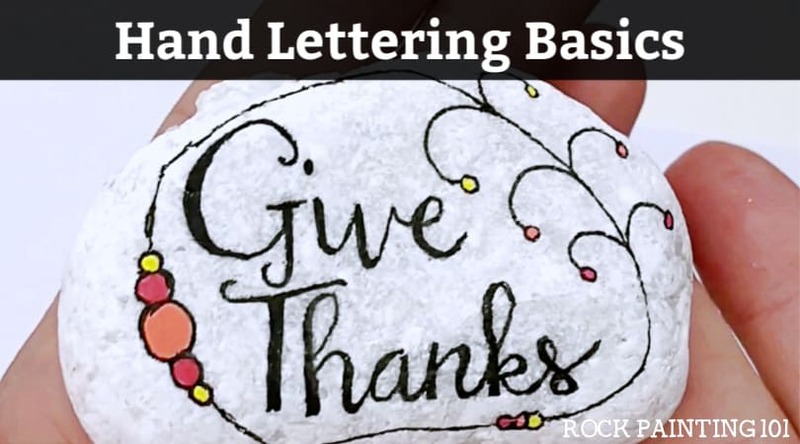 For this tutorial, I use these beautiful hand lettering practice sheets from Ruffles and Rainboots. Now I have worked with hand lettering before. For my Give Thanks rock I just lightly wrote on my rock after a bit of practice. 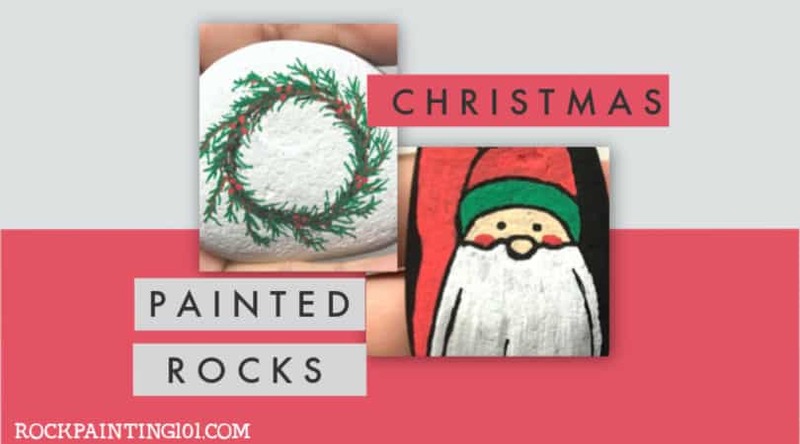 But, for some it just isn’t that simple… or you want to jump right in and start making piles of holiday rocks and don’t have time to practice. 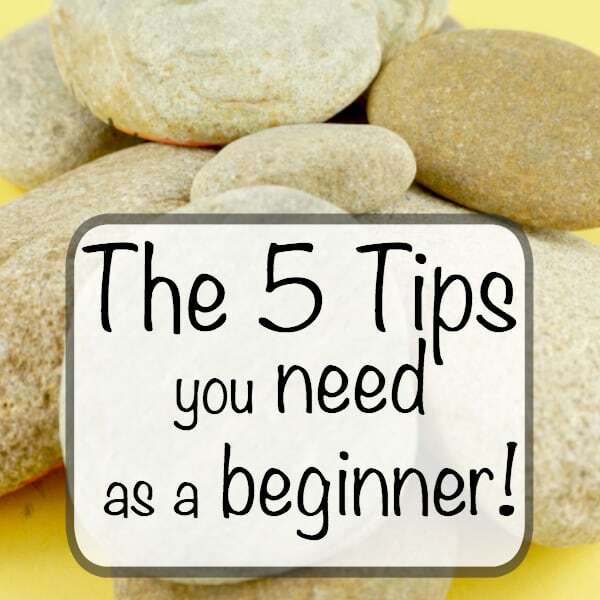 You may consider this cheating, but hey we all start somewhere! 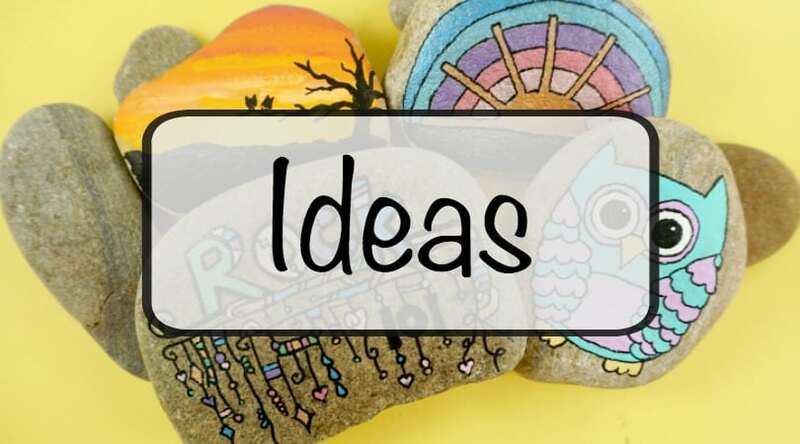 Cut out what you want to create on your rock. 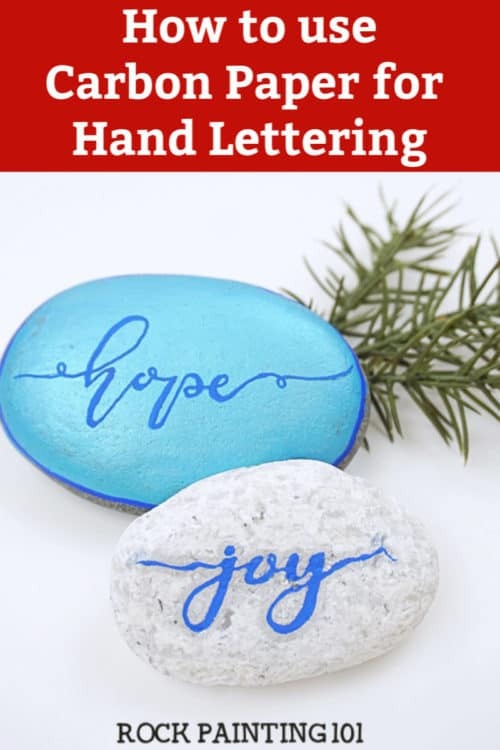 I chose hope from this hand lettering packet. Tape it to the back side of yo ur carbon paper. 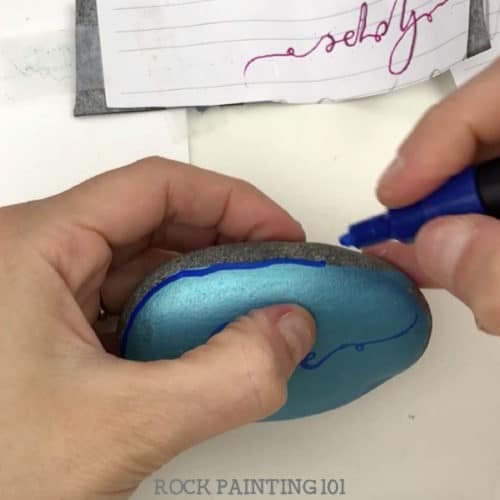 Then tape down to your rock. 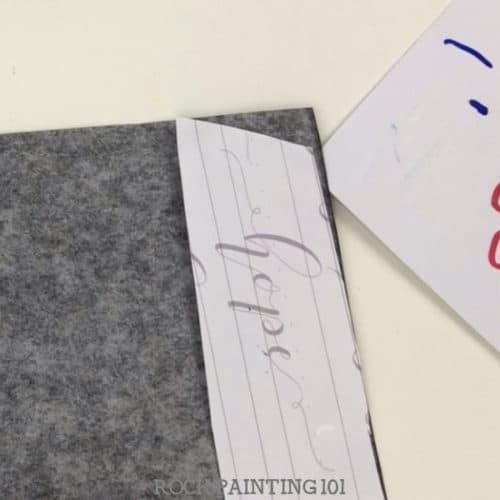 101 Tip: You may want to avoid placing the tape onto your base coat. Mine had been sitting a long time. Just cut your sheet large enough to wrap it around to the back. 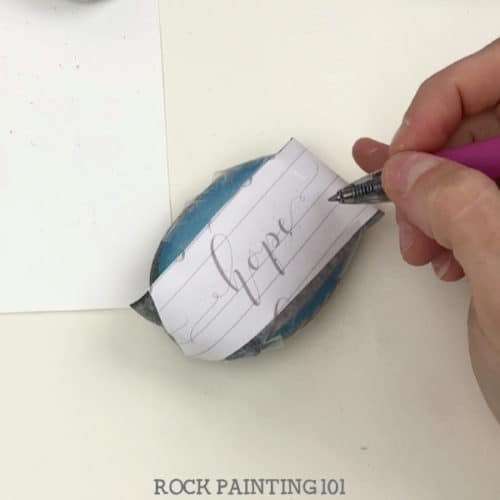 Use a ballpoint pen to trace your letters. Just a single stroke is fine. We will fix the thickness with our paint. 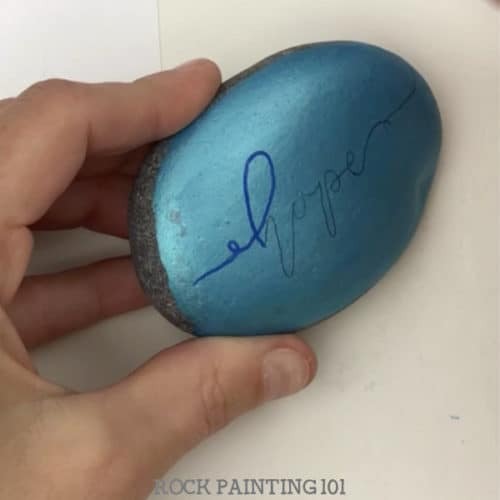 Peel off your template and see your design right on your rock. Now start to trace your design. 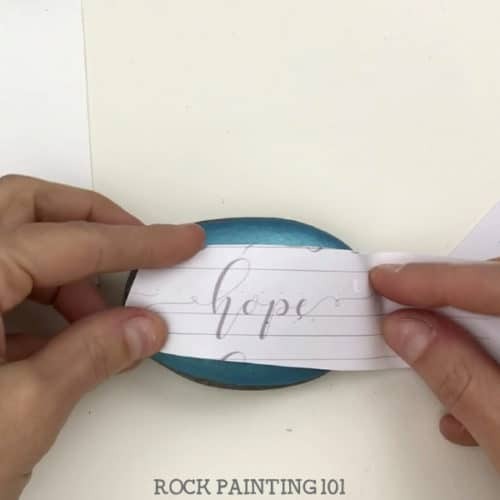 With hand lettering, as you write, you can go back to any downward strokes to make the line thicker. You can use your template to help with this as well. To create a more finished look, draw a dark line around your base coat. 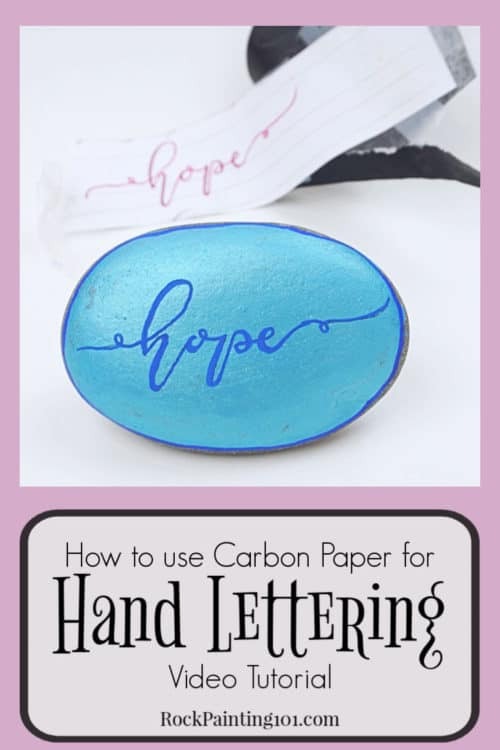 How to hand letter on rocks with carbon paper! Follow us on YouTub and never miss a video!